Our books are available at bookstores, gift shops, museum shops, outfitters, schools, public libraries and online booksellers. Traces the development of Ninety-Six from its initial recognition as a campsite along the Cherokee Path. "A detailed, thorough, comprehensive account of the history of Ninety Six." 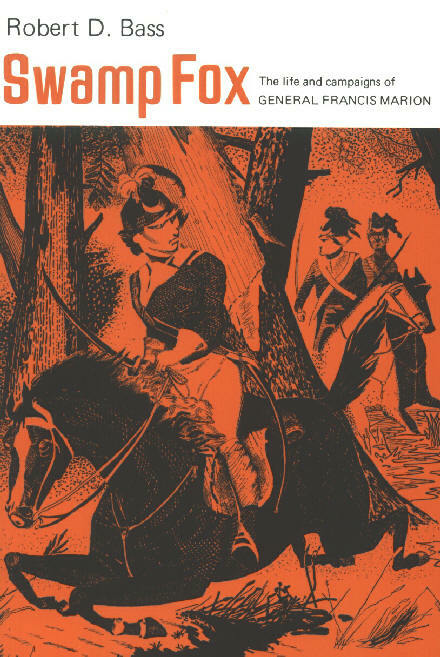 "An outstanding account of the importance of Ninety Six to the colonial and Revolutionary War history of South Carolina". During the late phases of the American Revolution the British held the principal port cities of the South including Savannah and Charleston. Their strategy for ending the war called for mobilizing the Loyalists and extending their conquests westward into the back country and into North Carolina and Virginia. Ninety Six was a British post that held the key to western areas of South Carolina and Georgia. 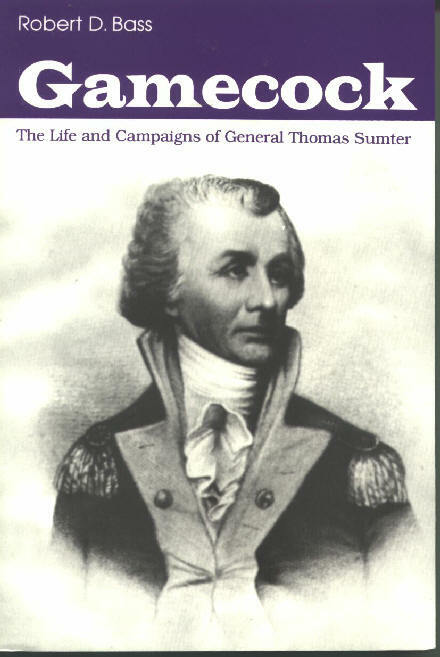 This biography, first published in 1961, is a thoroughly documented history of General Thomas Sumter It vividly recreates the partisan warfare which played such an important role in winning the South the battle for freedom__a victory gained largely through the tactical genius, fighting spirit and uncompromising devotion of Thomas Sumter. 275 pages. 2000 (1961). Sandlapper. One of the most fascinating figures of the American Revolution, General Francis Marion slipped in and out of the Carolina swamps to strike sudden, devastating blows against the British. 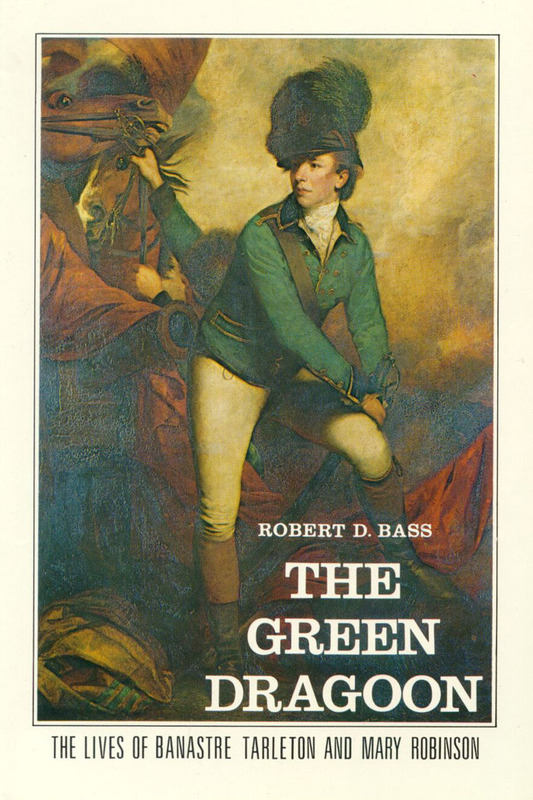 Cutting through the Swamp Fox legend, Robert Bass has arrived at a realistic and fascinating appraisal of this military genius. 275 pages. 1974 (1959). Sandlapper. Banastre Tarleton was born August 21, 1754 in Liverpool, England to an upper middle-class family. He studied law at Oxford and joined the military in 1775. He sailed with Lord Cornwallis where the British fleet dropped anchor in the Charleston harbor and attempted to attack the palmetto log fort near Sullivan’s Island. The British were not successful at taking the fort and headed north to form ground troops. Three weeks before his 24th birthday, Tarleton was promoted to Lieutenant Colonel of the British Legion, a military unit composed of infantry and cavalry troops. Tarleton combined the troops to form his own green-jacketed dragoons, a group of mounted infantrymen who rode on horseback into battle and dismounted to fight. Tarleton led a powerful combat team including raids in the upstate and took an active part in battles all over the Carolinas. Swiftly moving his troops from Beaufort to Charleston to Goose Creek and Moncks Corner, the cavalry advanced northward, keeping in motion to gain intelligence of the enemy’s design. “Bloody Tarleton” was perhaps best known for his barbaric actions in killing men even after they surrendered and begged for quarter. “Tarleton’s quarter,” essentially meaning “no quarter,” became the battle cry of American riflemen. In the blockbuster hit The Patriot, the English Colonel was crafted after Banastre Tarleton. Although Tarleton never chose to gather a group and burn them in a church, he did command the ruthless killing of civilians all over the Carolina’s. He did not die in the war as the film portrayed, instead he returned to Britain to become successful in Parliament and died both rich and badge-encrusted.